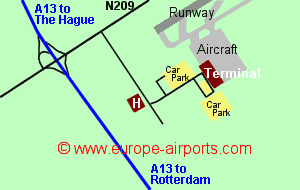 Find and compare the best prices from a range of well known car rental companies at Rotterdam The Hague Airport. This is a free to use facility, enabeling you to book direct with the company quoting the price. 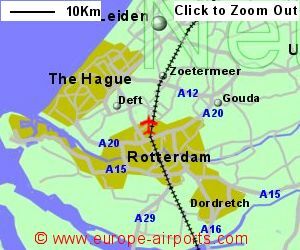 The frequent bus service from the airport to Rotterdam takes 20 minutes and costs 3 Euros or a taxi to Rotterdam centre will cost around 25 Euros. 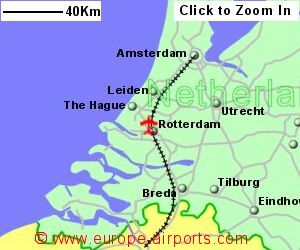 Rotterdam airport has 6 bars/restaurants, 2 shops,a currency exchange, 3 cash machines, conference facilities and Free WiFi Internet access. The 4 star Golden Tulip Rotterdam Airport Hotel is within 600m of the terminal building. Rotterdam airport handled 1.7 million passengers in 2017, a 5% increase from the previous year.